Ben Stephenson (BSCHEM ’04) supports students’ futures. Ben Stephenson (BSCHEM ’04) works in the Division of Forensic Sciences Toxicology Section of the Georgia Bureau of Investigation (GBI). As a toxicologist, Ben evaluates evidence collected from crime scenes to aid law enforcement in solving investigations. Ben gives to the Georgia Fund, which supports the university’s most pressing needs. Today, that need is student scholarships. The scholarship support that Ben received at UGA inspires him to give back. Ben Stephenson (BSCHEM ’04) works in the Division of Forensic Sciences Toxicology Section of the Georgia Bureau of Investigation (GBI). As a toxicologist, he analyzes evidence collected from crime scenes, helps law enforcement investigate DUI cases, and aids medical examiners or coroners in determining cause of death. Ben is passionate about the role he plays in larger investigations—helping to add one more piece to the puzzle to solve a case. Ben feels lucky to have found a career he enjoys, and he attributes much of this success to the University of Georgia. His UGA experience would not have been the same without the scholarship support he received as a student. Now, he gives back to ensure that students have the same opportunity that he had to focus on school without worrying about financial obstacles. Ben gives to the Georgia Fund, which supports the university’s most pressing needs. Today, 100 percent of gifts to the Georgia Fund provide scholarship support based on financial need or academic merit. Although the HOPE Scholarship and federal Pell Grants exist to help students fund their education, many still require additional financial support. The Georgia Fund seeks to help those students, ensuring that a UGA education remains affordable. As a recipient of the HOPE scholarship, Ben understands firsthand that HOPE and financial aid grants do not always cover all of a student’s expenses. By supporting the Georgia Fund, he hopes that students can graduate without the burden of significant debt so that they can pursue their professional passion as he did. “I give to the Georgia Fund in particular because I want everyone to have the opportunity to attend UGA, regardless of any financial barriers,” Ben said. 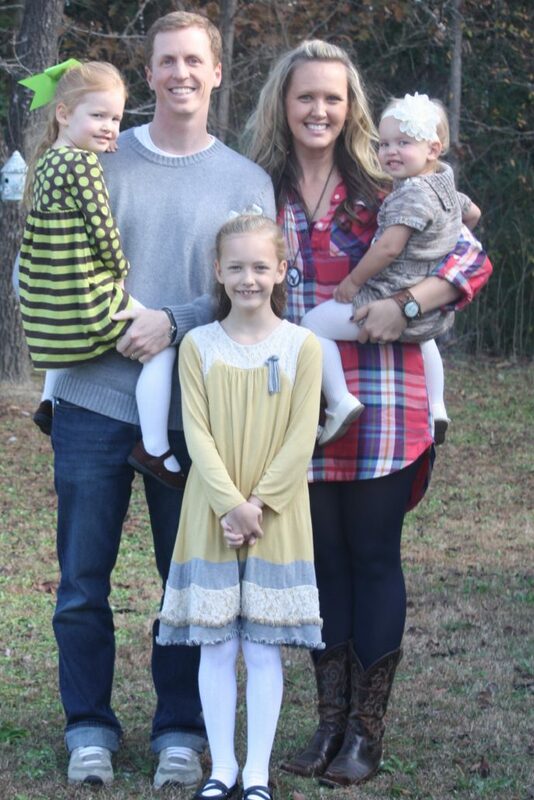 Picture of Ben’s family: Ben, Sara (his wife), and his three kids from left to right Emmie, Laney, and Amelia. 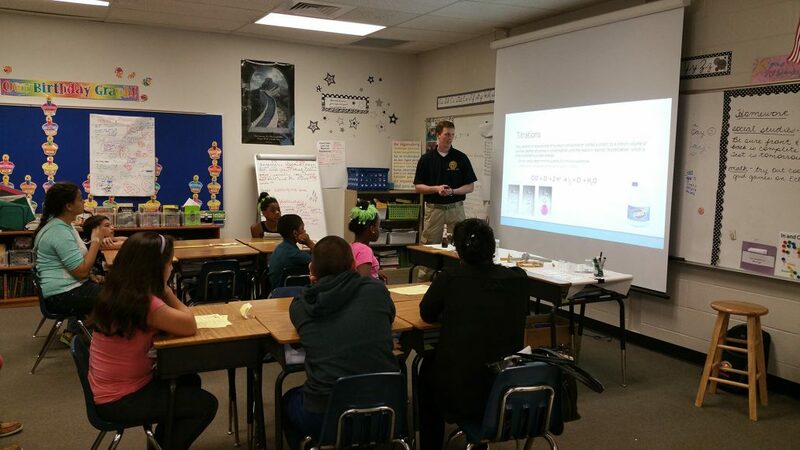 Ben talking at a STEM career night for a local school. While at UGA, Ben studied chemistry and was a member of the American Chemical Society. He never imagined a career outside of the traditional path for many chemists—working as an industrial chemist in the private sector. However, after hearing a guest speaker from the GBI share about alternative career options for chemistry majors, he decided to put his interests to a different use: solving crimes. Today, Ben plays a crucial role in death and criminal investigations in the state of Georgia’s 159 counties. Although his typical day involves running tests in a lab, he also occasionally presents his findings in court as investigations progress. Ben is from Chatsworth, a rural town in North Georgia. Transitioning from a small town to a large university like UGA, he encountered new people and experiences. The diversity of UGA’s campus gave him the opportunity to not only learn about chemistry, but also about himself. As a student, Ben participated in intramural sports, including softball and tennis, and worked as a lab assistant. Through his involvement in sports and academics, Ben forged lasting friendships and discovered the value of branching out from his comfort zone. These relationships and learning opportunities provided him with the tools he needed to tackle his next goals after graduation. “My overall UGA experience gave me confidence in myself and prepared me for a career in the real world,” Ben said. In his career, Ben uses his chemistry degree every day, but he believes that a UGA education is about more than just a degree—it is the culmination of the entire UGA experience. “The degree that you earn is ultimately what you will be the most proud of, but the memories that you take away [from UGA] come from the experiences you have,” Ben said.